Pretty Daisy Cupcakes for Gaby’s Birthday! Gaby, my daughter’s friend, celebrated her 14th birthday today and as she loves my cupcakes I thought we would surprise her with a visit and a gift of these colourful Daisy Cupcakes. 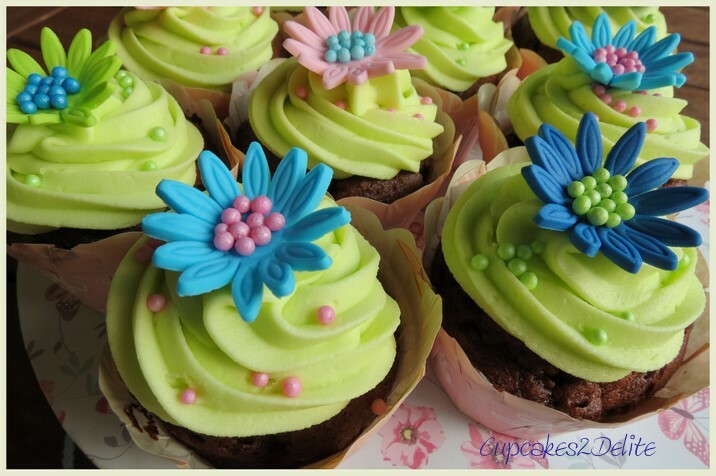 I made rich, moist chocolate cupcakes iced with a tinted lime green deliciously creamy icing. I cut out pink, light and darker blue and green daisies and added contrasting sugar pearls for their centres and popped these onto the cupcakes and sprinkled sugar pearls around the daisies. 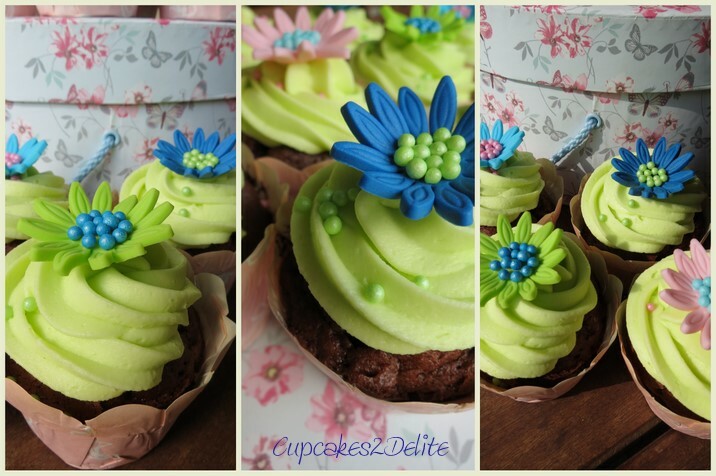 Pretty Daisy cupcakes for a pretty funky girl! Hope you have an awesome birthday Gaby! Those ARE really cute cupcake sleeve? what kind of material? handmade? or order? These cupcake holders are imported from China and available at most baking shops in Johannesburg such as Jodees, Kadies and Baking Bitz. Please use the Contact Me section on my website for any orders but please keep in mind I am based in Johannesburg, South Africa.